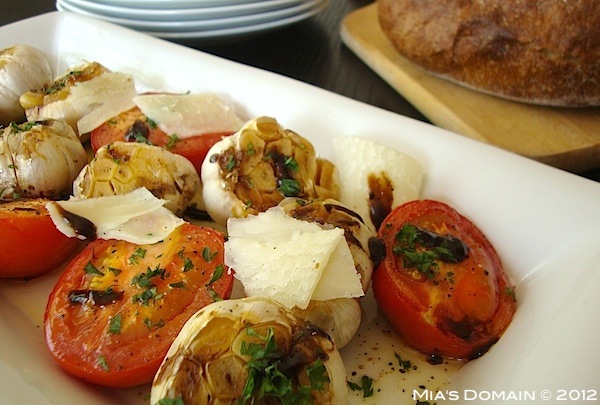 Mia's Domain: Roasted Whole Garlic and Roma Tomato Salad. Two of my favorite things...garlic and tomatoes. Will be trying this soon. I've never roasted garlic. My mouth is watering, this looks so good! I LOVE the ingredients in this salad- so simple but fresh and delicious. Beautiful! There is nothing like 'simple' to make a dish extraordinary. Very nice! Thank you very much, Kathy! I tend to agree!